The trio of Borrowell, Mogo, and Credit Karma offer Canadians access to free credit scores and reports. 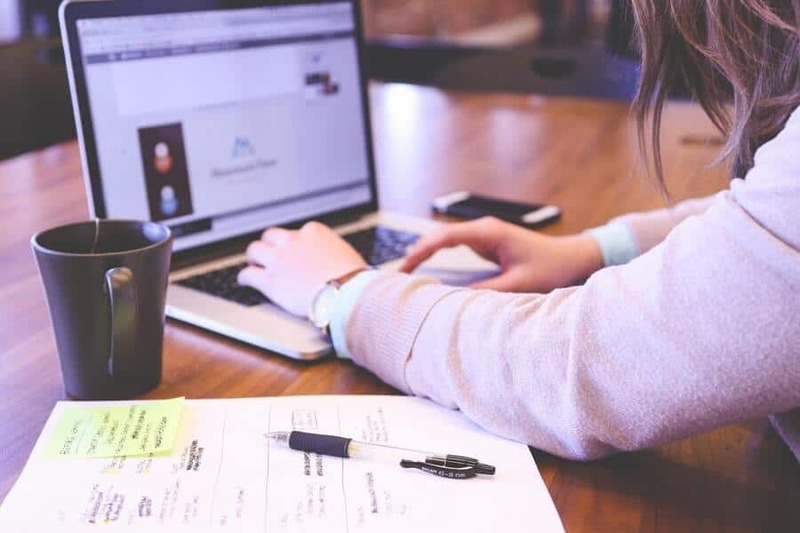 In addition to these two basic offerings, they also provide other services, including personal loans, credit cards, credit monitoring, identity protection, mortgages, and more. 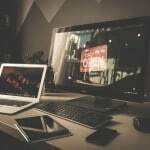 A few years ago, you could only obtain your credit score directly from the credit bureaus (TransUnion and Equifax) at an average cost of $20 a pop. 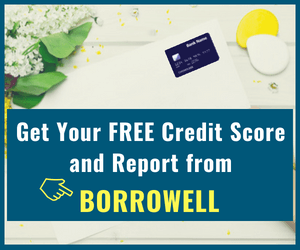 These days, you not only get it for free through online fin-tech companies like Borrowell, but they also give you access to the updated score every month in addition to your free credit report. These three companies offer similar products and some non-similar ones as well. On a general note, if all you want is to access your credit score and report, they all provide this service for free. Mind you, following registration, you should expect to receive occasional email offers containing product recommendations, such as credit cards and personal loans. You are not obliged to sign up for any of these services and can unsubscribe from receiving emails at any time. Borrowell is an online fin-tech company that provides free credit scores and credit reports, as well as fixed-rate personal loans, credit cards, and mortgages. The company was founded in 2014 and is partnered with several popular financial institutions including EQ Bank, CIBC, Equifax, Scotiabank, BMO, CIBC, Capital One, Power Financial Corporation, etc. They provide services to clients throughout Canada and have their headquarters in Toronto. 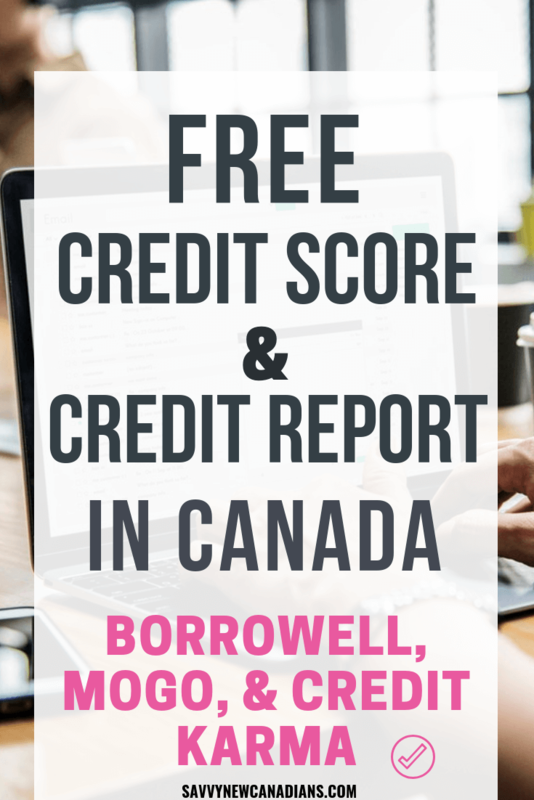 Over 500,000 Canadians are reported to have received their free credit scores through Borrowell. Obtaining your free score and report is easy and takes no more than 3 minutes. 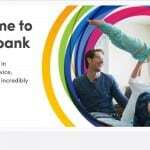 Simply open an account here, enter your basic details (your SIN is not required), and get your credit score. The score and report they provide are through Equifax. You can obtain unsecured personal loans up to $35,000 at fixed rates between 5.99% and 29.19% (APR). The APR includes both the interest rate and the origination fee charged following loan approval. Loan term rates are either 3 or 5 years and you can pay it up sooner to lower your interest rate. Application for loans is completed online. If approved, your funds are deposited into your bank account and the entire process can be completed within 2 days. Personal loans are not available in Quebec. 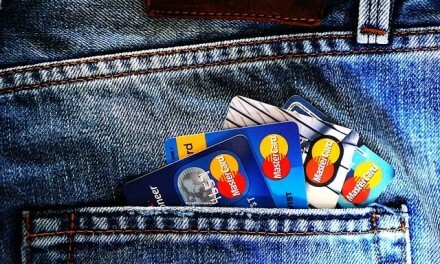 They have a portal where you can compare different types of credit cards and apply for them. Similar to credit cards, Borrowell also provides a comparison of mortgage rates from various mortgage lenders for different mortgage rate types (fixed vs. variable), terms, and other conditions. When you obtain a credit card, mortgage, or other financial product through Borrowell, the banks or lenders who own the product pay them a referral fee. Mogo is another fin-tech company in Canada offering services similar to those provided by Borrowell and more. The company was founded in 2003 by David Feller and their headquarters is in Vancouver. Mogo was listed on the Toronto Stock Exchange in 2015 and on NASDAQ in 2018. Their stock goes by “MOGO” on both the TSX and NASDAQ. 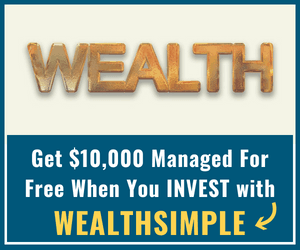 They offer six products: free credit scores and reports, personal loans, mortgage, identity fraud protection, Prepaid Visa card, and cryptocurrency trading. In September 2018, Mogo surpassed 700,000 members. Mogo Credit Score: This is available free of charge along with a report. It is updated monthly and is provided through Equifax. Mogo Personal Loans: They offer personal loans up to $35,000 with APR ranging from 5.9% to 45.9%. Loan terms are 2-5 years and can be paid off at any time. MogoProtect: This is their identity theft/fraud protection service. It comes at a cost of $8.99 per month. 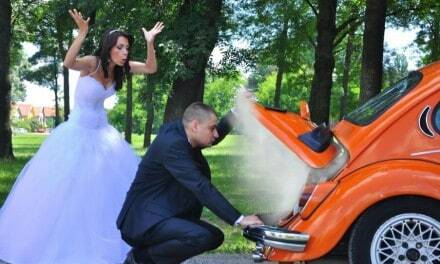 You can also obtain a similar paid service through TransUnion. Alternatively, you can simply conduct your own free credit monitoring by ensuring you look through your free updated monthly credit report for any suspicious activity. MogoCard: This is their free Mogo Platinum Prepaid Visa card which has no annual fee and offers 1.5% to 3% in cash back rewards. However, take note of the $1.50 domestic and $3 international ATM fees! MogoCrypto: Interestingly, Mogo also offers a crypto-exchange where you can buy and sell bitcoin at real-time prices using their mobile app. There is a 1% fee when you buy or sell. MogoMortgage: You can use their app to apply for a mortgage loan and view mortgage rates on offer by different banks. Credit Karma has been operating in the United States since 2007, providing services to more than 60 million members. They recently expanded to Canada. The company provides users with access to free credit scores and reports. In addition, they offer a variety of credit cards you can apply for on their website. The credit score and report you receive are based on TransUnion’s Credit Vision Risk Scoring model. In the U.S., they provide additional services including loans (personal, home, auto, student, and business) and tax filing. If you choose to apply for any of their product recommendations (i.e. 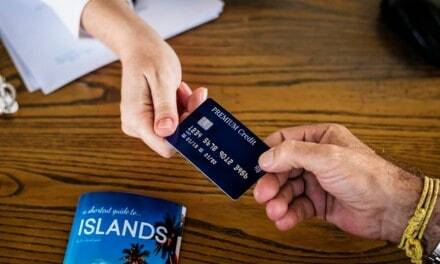 credit cards in Canada), Credit Karma receives a referral fee from the bank or lender. 1) Will checking my credit score affect it? No, it doesn’t because the free credit score you obtain qualifies as a ‘soft’ credit inquiry and has no impact on your credit profile one way or the other. 2) Is Borrowell, Mogo, or Credit Karma safe? These companies use the same level of encryption that the big banks use, so they are just as safe as your bank. As with any account you have online, it helps to use a strong password and to take other necessary precautions. 3) Is the credit score really free? Yes, you do not pay to access your credit score and report. The monthly updates are also free. However, these providers will send you an occasional email with product recommendations. If you choose to apply for a loan or credit card, Mogo, Borrowell, and Credit Karma receive a referral fee. 4) Is the credit score accurate? The credit score you receive from these three companies may vary due to the different providers and models used for calculating them. Borrowell and Mogo provide a free Equifax credit score and report, while Credit Karma provides a TransUnion credit score and report. Similar to Payday Loans, Borrowell and Mogo make it easier to access personal loans when you are out of luck with your bank. This means that you may be able to use loans from either company to consolidate other high-interest debt like credit cards. There is still a need for caution though! The high point for loan rates at Borrowell is 29.19% and for Mogo, it is a whopping 45.9% (MogoLiquid personal loan). If your approved rate is anything close to these maximums, you should be diligent with paying off your loan really quick or you could be in for a surprise. Note that Mogo also has a more expensive line of credit (MogoMini with an AIR of 47.17%) and a short-term payday-type loan (MogoZip) with an APR that is up to 443.2%! Avoid them! As per my usual advice, payday loans (like MoneyMart) should always be a last resort and avoided at all costs. Their simple annual interest rates can exceed 600% and can make it extremely difficult to free yourself from the shackles of debt. 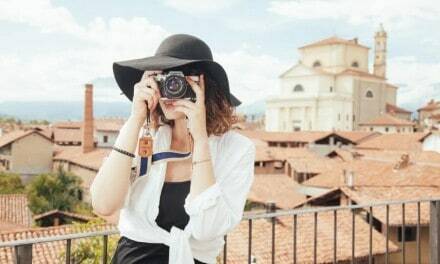 If you qualify for a 0% or so balance transfer credit card (but not a typical bank personal loan), the balance transfer option may be better for consolidating all your credit card debts on one card, saving on interest rates, and getting out of debt. There are many options to access a free credit score and report in Canada. While the credit bureaus (TransUnion and Equifax) are obligated to give you one free credit report per year (upon request), you can easily obtain your score and report on a monthly basis from either Borrowell, Mogo, or Credit Karma. Good article. But a correction needed. I am with all three, and I am pretty sure Mogo just provide credit scores and NOT credit reports. They redirect you to the Equifax site to get one. Creditkarma and Borrowell are good though and truly provide both.